Never get confused on whose pencil is whose with Engraved Pencils from GiftsForYouNow.com. 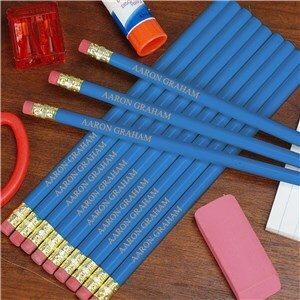 Personalized Pencils, engraved with any name, are becoming the number one essential when heading back to school. 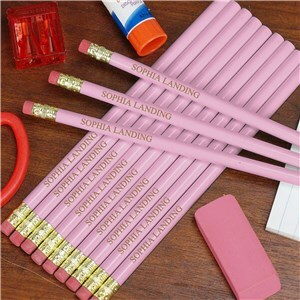 Sold in a set of 12, these #2 Pencils are perfect for kids, adults and make fun giveaways or party gifts at special events. Never worry about borrowing a pencil again, when you shop Engraved Pencils for any occasion.